Begun 132 years ago in 1883, Iglesia de la Sagrada Familia, Antoni Gaudí’s most famous building, in Barcelona, is finally nearing completion. According to the current chief architect, six more towers will be added to the basilica by 2026, bringing the total to 18. 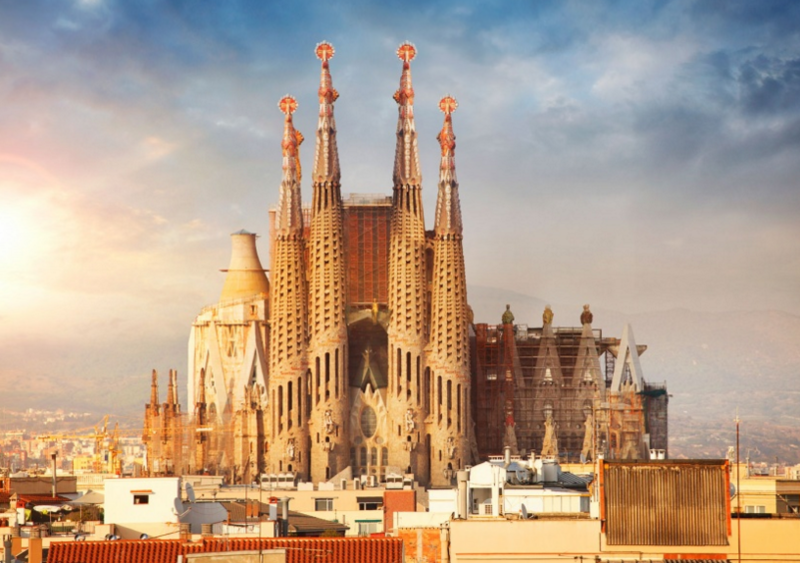 The church’s completion is timed to coincide with the 100th anniversary of Gaudí’s death. When finished, it will be 564 feet tall: the tallest religious building in Europe.